July 29, 2010 - no comments. Posted by Larz in Suckpax 2. 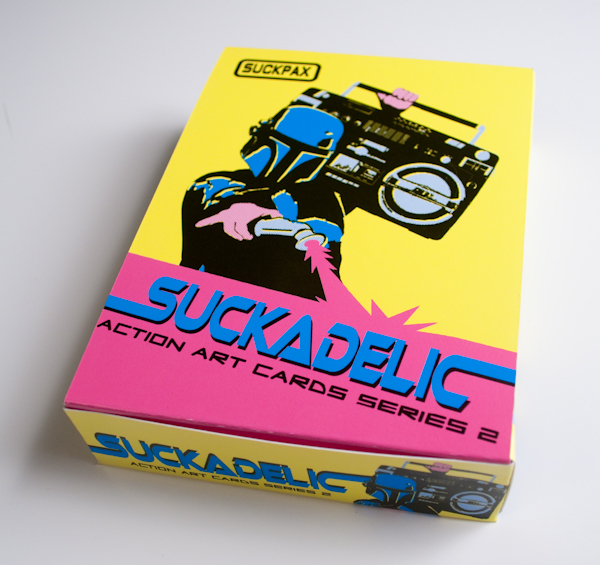 Just made up a prototype of the Suckpax Action Art Cards series 2 box!